This notice serves to advise members of the QUT Alumni Chapter of Fostering Executive Women of the forthcoming annual general meeting. Refer to the Fostering Executive Women website for further information on nominating for a position and to download the relevant nomination pack and role descriptions. Following the meeting, members are welcome to stay for networking from 7pm to 8.30pm and hear from our guest speaker Marie-Claire Grady with her presentation, Enriching Experiences. 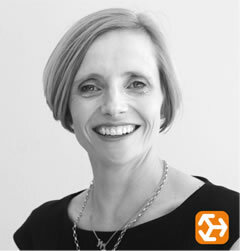 Marie-Claire Grady is the founder and visionary behind 3rdView Consulting - Brisbane's Customer Experience Leaders. She is a sought-after strategist, facilitator, and speaker who uses Design Thinking to enrich human experiences, particularly for customers and employees. Marie-Claire has a unique ability to ‘bring customers into the room’. She challenges clients to engage, observe and empathise to bring a range of perspectives to business opportunities and challenges. She is known for energetic and professional delivery, remaining calm under pressure, and making the complex, simple. Marie-Claire credits her success to a lifetime of observing interactions, broad industry experience, and her studies at QUT and Harvard. She also recognises that her roles as Mum, marathon-runner, and in the community, keep her connected to the things that matter most.